GB: Since we haven't spoken with you for several months, can you give us an update on how development is coming along on The Witcher? Have you ran into any unforseen obstacles or reached any major milestones lately? Any plans for a release date yet? CD Projekt: The development process goes smoothly and effectively. Lately, we've been working on the E3 version of the game, which we'll present during the Expo. Quite a number of new locations and features are actually finished and are being polished at the moment. As far as milestones are concerned, we're glad to say that the E3 version will be one of them, and will include nearly every feature we intend to implement into the final product. At the same time, we are constantly increasing the number of our crew, which by now comprises a group of over 40! Thus the development process proceeds faster than planned. The large crew allows us to realize the most ambitious plans and ideas and avoid obstacles quickly and efficiently. Nonetheless, there's still loads of work ahead, that is why we'd rather keep the release a secret. GB: Do you keep in touch with BioWare on a regular basis on the progress of The Witcher, or is their involvement with the game (other than the engine) been very minimal? Will they play any part in publishing or distributing the game? CD Projekt: We're constantly in touch with BioWare. And they have supported us greatly with their knowledge and experience since the very beginning. We've received numerous hints and suggestions concerning not only the Aurora Engine, but also the most vital issues concerning the mechanics of an RPG design process. Whenever we appear at BioWare which by the way does not happen too often, due to a 28-hour-long flight several people comment on our work, providing us with precious ideas and advice. The help we receive is priceless and the longer our co-operation lasts, the more convinced we are, that one can create a powerful development company basing on friendship and other basic virtues. As far as BioWare's involvement in The Witcher's publishing or distribution goes, I am unable to reveal any of the information. The business matters take time and are not to be rushed. Soon a time will come for further announcements. GB: How much focus has there been on the story-telling aspect of The Witcher? Can we expect to see lengthy amounts of dialogue with each major NPC and perhaps information about the storyline provided through in-game books or manuals? CD Projekt: The storyline is a crucial element of the gameplay. It divides into two separate levels. One of them, the epic one revolves around the history of the Kingdom of Temeria, struggle for power, intrigues and mysterious plots. It is strongly interwoven into the history of the lands, where numerous forces collide. The other one surrounds the main character, concentrating on the pursuit of ones identity, complicated interpersonal relations and finding one's way in the never-ending conflict between the worlds forces and political powers. Geralt the protagonist is a renown and mighty warrior, therefore, his role in the whirl of events is often crucial. Especially, that everyone would gladly see him by their side. The game is filled with crucial and peripheral NPC's providing us with loads of intriguing and involving conversations, bursting with humor and allowing the player to dive into the ambience of the world. On the other hand, we're far from flooding the players with thick volumes and thousands of pages of no greater significance. Instead, we'd rather have the players (e.g.) visit haunted, long-forgotten battlefields and talk to the ghosts of the once-gallant warriors. It is them, who know the history of the lands better than anyone else, and they are to present us with it in a most profound way. 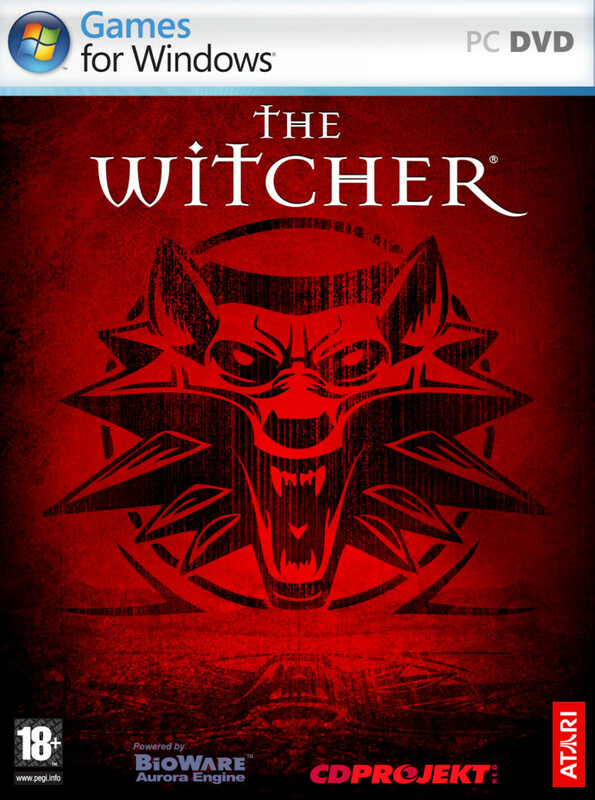 GB: Since the game takes place in the setting created by Polish author Andrzej Sapkowski, how much involvement has he had with the game? Do you consult with him on a regular basis on the direction you're taking the game? CD Projekt: Mr. Andrzej Sapkowski accepted the storyline of our game. Additionally, we consult with him on a regular basis whenever any concerns about the scenario and the plot arise. Not so long ago our Senior Designer contacted Mr. Sapkwoski to debate on various ideas, not only the crucial ones, but some background ones too. For example, and this was one of our questions, how old can a character be, who only once appeared in the novel. or. is there a chance that some of the characters could have gotten married? Funny thing is, we foresaw the master's intentions perfectly, so it did not take long before he let us marry the aforementioned charactersJ. As you can see, the meticulous analysis of the novel lets us create a game faithful to the books, their ideas and specific atmosphere. GB: Tell us about the game's cities, such as Vyzime and Maribor. Will such cities be filled with NPCs to converse with, including merchants to purchase and sell equipment? Will the character be able to enter some/most/all of the city's buildings, perhaps even for thieving purposes? CD Projekt: The cities in our game will be crowded and full of life, well. apart maybe from the Old Vyzime decimated by the plague ;). During our travels we'll have a chance to meet lots of NPC's, varying from common townsfolk, guardsmen, thugs, burglars to members of aristocratic families. The player will have an opportunity to interact with all of them, though not every inhabitant of the world will be willing to talk. Thus, from time to time, we'll be. forced to use less verbal ways of communication :). Regarding the buildings, the player will be able to enter and visit most of them and take the things he'll find, yet not without consequence. Once you're caught red-handed, the townsfolk will be glad to tip off the guards. On various occasions the player will have to inquire about certain people or their whereabouts. The main factor restraining us from entering all the buildings is the storyline, therefore, some places will only be accessible at a certain point and time. I think the crucial thing is that we've managed to create a flesh-and-bone, realistic world teeming with life. Knowing the habits of certain individuals in the game, we will be able to plan our actions. Why, for example, not break into somebody's apartment while they're having fun in the nearest tavern?